The new Moon Palace Jamaica Grande is located on the beach in Ocho Rios. This is the first Caribbean resort for Palace Resorts, which operates popular properties in Mexico. The resort has 705 guest rooms with partial or full ocean views. Rooms feature iPod docking stations, free minibar items, free wireless Internet access and 42-inch LCD televisions with satellite programming. Private bathrooms with shower/tub combinations feature complimentary CHI toiletries and hair dryers. Conveniences include phones, as well as laptop-compatible safes and desks. Moon Palace Jamaica Grande has activities to please all ages. Kids keep busy with a wave simulator, teen lounge, and kids’ club, while adults can enjoy the nightclub and two adults-only bars. The resort’s full-service Awe Spa has multiple private treatment rooms, plunge pools and common areas for meditation and yoga. 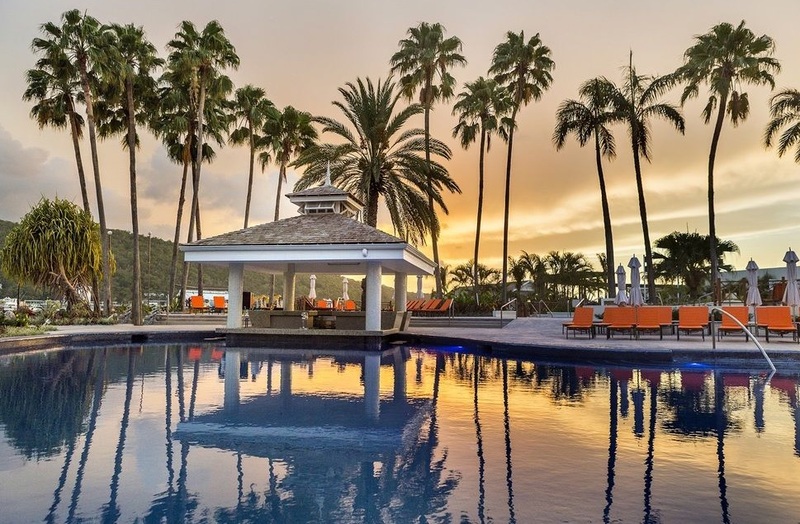 Grab a bite at one of the resort’s four theme restaurants, featuring Asian, Italian, and modern Caribbean cuisine. Snacks and 24-hour room service are also available. Relax with a refreshing drink at a beach bar, a poolside bar, or one of seven bars and lounges.